Garden Fleece is perfect to protect your plants against frost and also stops wind, hail, birds and insects damaging your plants, strong and reusable, this 30gsm heavy duty plant fleece is UV stabilised, tear resistant and is easy to drape over plants. Save up to £25 on Extra Value Fleece Packs! 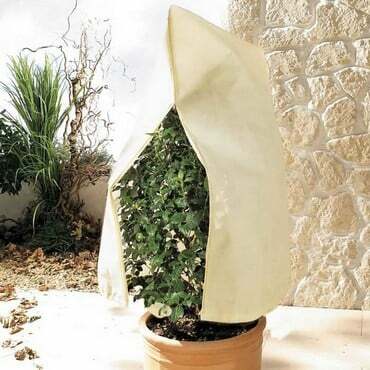 Winter is a challenge for the gardener, that's why we recommend this commercial quality frost-busting plant fleece. 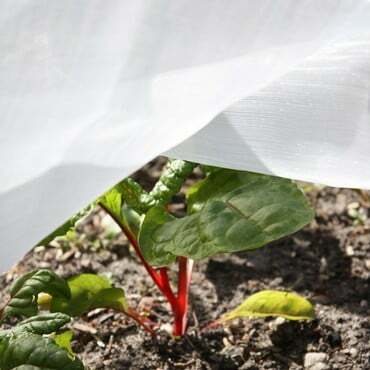 The permeable, white UV stabilised, spun-bonded 2mm square mesh 30gsm gardening fleece protects against frost, wind, hail, birds and insects. 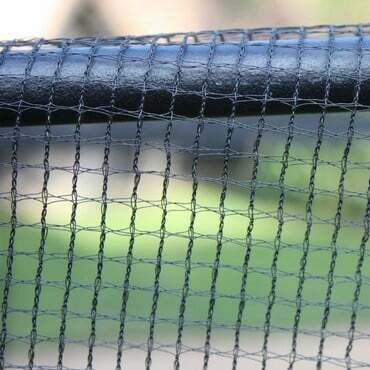 Unlike many imitations our polyester yarn fleece has been manufactured with UV stabilisers for longer life - so won't disintegrate or tear - yet soft and light enough to be placed directly over plants. 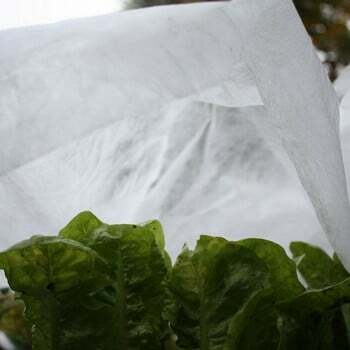 Can also be used to help to warm up the soil to achieve earlier harvesting of healthy crops. 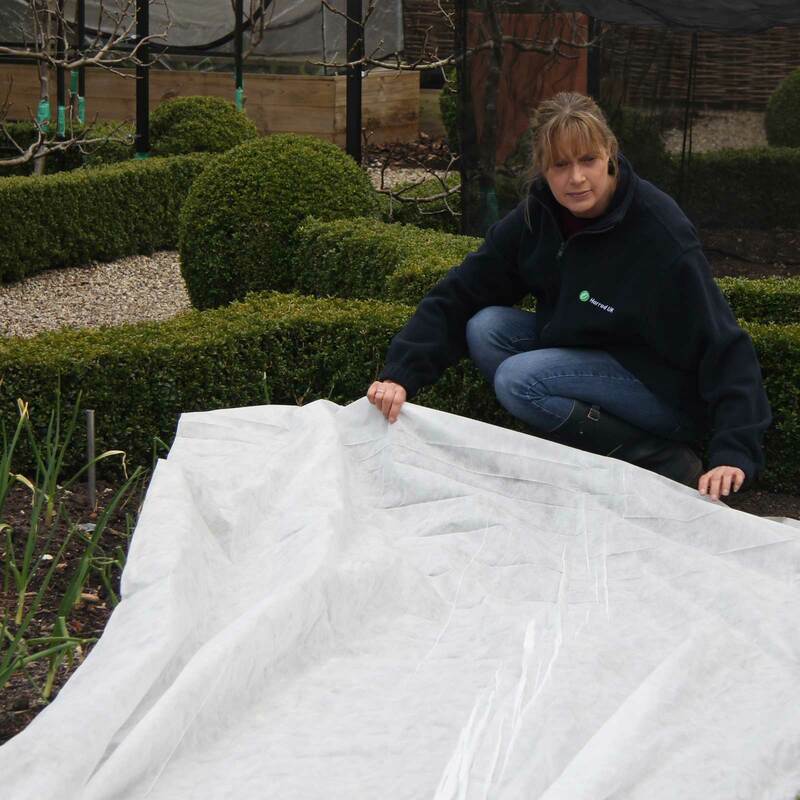 This quality horticultural fleece is available in 2m & 4m widths and comes in great value Saver Packs. *Please Note 4m width fleece does have a join. Really good quality and thickness for frost protection. Withstands very windy weather without tearing . This has been up for about a month now and has withstood very high winds. Fleece is the best option as a temporary protection against frost. It is light enough to be laid over plants without any support and easy to take up again. It comes in 17 gram and 30 gram weights; the 17 gram weight will protect to just below freezing, whereas the heavier 30g fleece will protect down to 28F-26F (-2C or -3C). 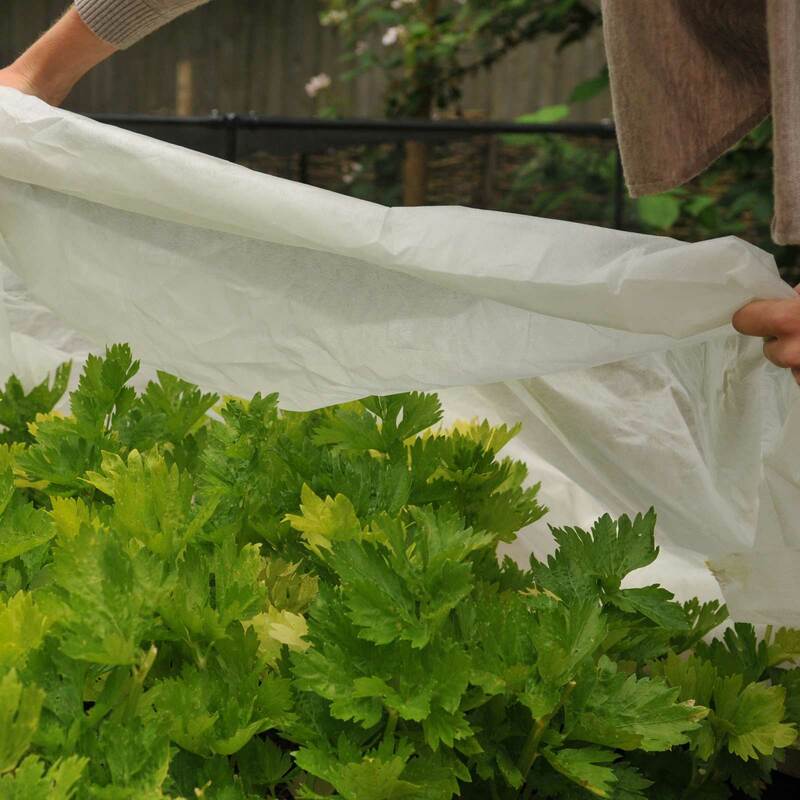 It’s important to remember to take up the fleece after frost has passed – it may keep plants snug but pests like it under there too. Fleece also blocks light at a time of year when light levels are low." The article went on to say the following about other devices capable of warding off frosts. 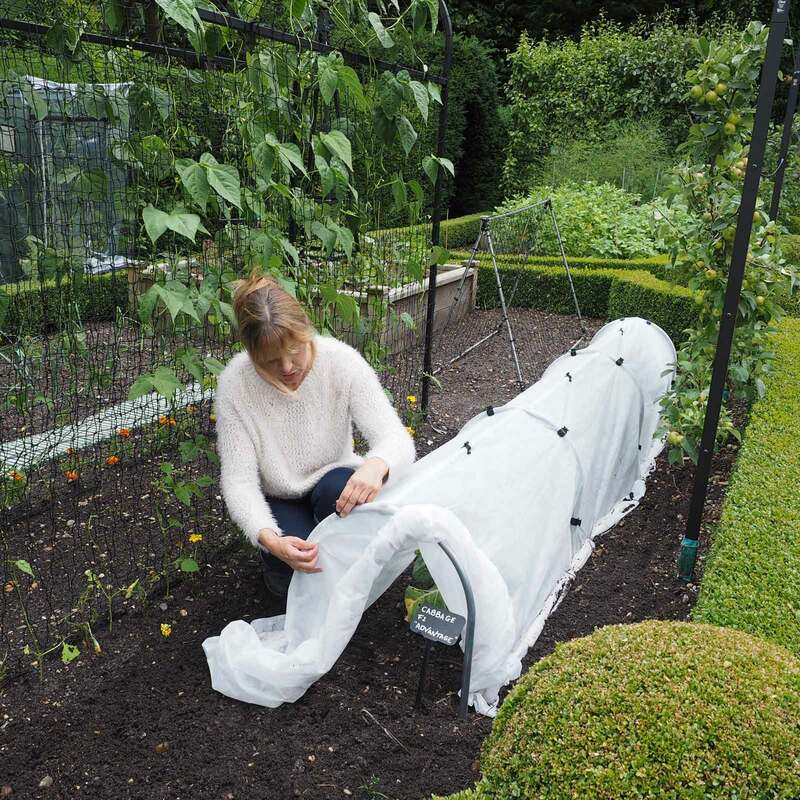 "...there are polythene, poly tunnels, lightweight cloche systems, ingenious support devices that convert raised beds into tunnels, and variations on the classic cold frame. Specialist suppliers such as Harrod Horticultural...are excellent one-stop shops for all plant protection supplies." Can you manage without fleece and other such materials and products this winter, spring and autumn? "This frost-busting insulating fleece will covercrops during winter and chilly springs. The 30g material is spun-bonded and aims to keep cold weather, wind and hail away from your soil and vulnerable young veg."